Kentucky Equality Federation - Earth Equality Alliance - Marriage Equality Kentucky Press Office: Kentucky Equality Federation condemns: Help 4 Families Presents, "Hope Gathering 2010" Kentucky Equality Federation - Earth Equality Alliance - Marriage Equality Kentucky Press Office: Kentucky Equality Federation condemns: Help 4 Families Presents, "Hope Gathering 2010"
Kentucky Equality Federation condemns: Help 4 Families Presents, "Hope Gathering 2010"
Kentucky Equality Federation today condemned an anti-gay and so called "ex-gay" group coming to Nicholasville, KY on May 22, 2010. The gathering is called "Hope Gathering 2010" which is being promoted as an event to help people "gain a deeper understanding of Gender Identity Disorder in a Christ centered gathering." "After visiting the site of Help 4 Families, everything I have read is complete dogma," stated Kentucky Equality Federation President Jordan Palmer. "As a Christian, the message from Jesus is to love your neighbor, yet we continue to have groups such as these who twist religion to suit their own selfish needs." Nikki McIntosh, Kentucky Equality Federation's Transgender Outreach Director stated, "They are disguising this as if they are a support group or want to help people, however, their real agenda is brainwashing people. I am the way God made me and I'm no mistake." 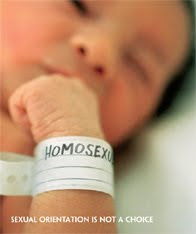 Homosexuality and gender identity is not unique in its status as an issue some people use to justify their hatred and/or repression of others. Throughout the history of this Commonwealth, our nation, the world, and the church, there have been other issues that were divisive in nature: anti-Semitism, slavery, and female clergy to name a few. Palmer continued: "Unfortunately, for LGBTI people, some of the people who treat them the worst are their closest friends, family members, and churches upon learning of their sexual orientation or gender identity. This double jeopardy situation leads many LGBTI people to the brink of despair, and sometimes to suicide," stated Palmer. "Their blood is on the hands of groups such as Help 4 Families and gatherings such as Hope Gathering 2010." 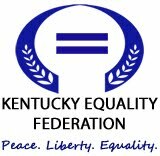 "Kentucky Equality Federation will not allow the minds of adults, and more importantly, our youth to be poisoned," added Kentucky Equality Federation Board Secretary and Treasurer Dean Byrd. "The development of a person's gender identity is not preventable or curable, this has been misunderstood by mainstream society for years, stated Rick Wolfe, Special Advisor for Youth and Discrimination, and a member of Kentucky Equality Federation's Discrimination, Hate Crimes, and School Bulling Committee. "Reparative therapy has proved to be a fraud, society has proven there is no "normal" gender identity or "normal" gender role. The program that is offered, is for narrow-minded and fearful individuals that are in need of the acceptance of others." Principle 3 of The Yogyakarta Principles states that "Person of diverse sexual orientation and gender identities shall enjoy legal capacity in all aspects of life. Each person's self-defined sexual orientation and gender identity is integral to their personality and is one of the most basic aspects of self-determination, dignity and freedom" and Principle 18 of this states that "Notwithstanding any classifications to the contrary, a person's sexual orientation and gender identity are not, in and of themselves, medical condition and are not to be treated, cured or suppressed." According to these Principles, any gender identity of a transsexual or transgendered person is neither "disorder" nor mental illness, thus the diagnosis "gender identity disorder" can be contradictory and irreverent. Professor Michael O’Flaherty, with the International Lesbian and Gay Association (ILGA) and a member of the United Nations Human Rights Committee stated, "All human rights belong to all of us. We have human rights because we exist – not because we are gay or straight and irrespective of our gender identities, but that in many situations these human rights are not respected or realized. This is evident as a matter of principle and also as a matter of international human rights law." The Yogyakarta Principles on the Application of United Nations International Human Rights Law in relation to Sexual Orientation and Gender Identity is a set of international principles relating to sexual orientation and gender identity, intended to address documented evidence of abuse of rights of lesbian, gay, bisexual, and transgender (LGBT) people, and further of inter-sexuality requested by Louise Arbour according to the International Human Rights Law. Louise Arbour, CC, GOQ is the former United Nations High Commissioner for Human Rights, and a former justice of the Supreme Court of Canada. 67 of the United Nations' 192 member countries have sponsored the Yogyakarta Principles, including every member of the European Union. 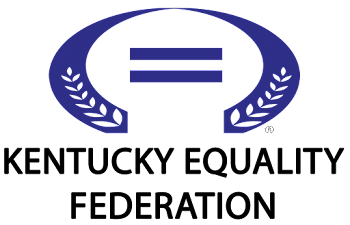 In addition, the United Nations General Assembly welcomed the adoption of Resolution AG/RES. 2435 (XXXVIII-O/08) on "Human Rights, Sexual Orientation, and Gender Identity" by the General Assembly of the Organization of American States during its 38th session in June 03, 2008. Richard Jones, Special Assistant to Kentucky Equality Federation President Jordan Palmer for Communications and Administration as well as Ben Brannock, Kentucky Equality Federation's Outreach Director for High Schools and Universities dismissed "Hope Gathering 2010" as anti-gay propaganda.